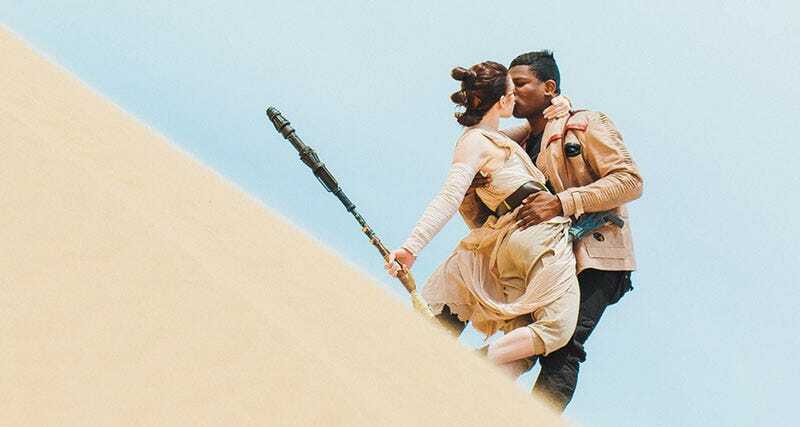 The Real Finn and Rey are a cosplay duo from Utah, who...well, the name kinda says it all. They’re an actual couple (currently engaged, getting married in May), and that kid in the BB-8 suit isn’t a random baby stolen for cutness purposes, it’s theirs. All photos here—and yes, they were taken in a real desert—by Robert Lance Montgomery Photography.